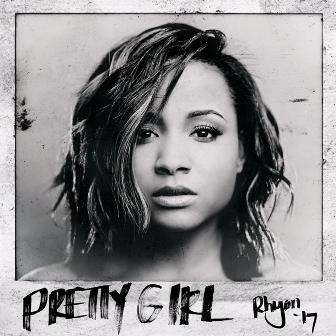 Actress, dancer and singer Rhyon Brown is the epitome of a triple threat, and has recently debuted her first live performance for her new album, “Pretty Girl”, produced by Harmony Samuels. Held at the Avalon in Hollywood, Brown sat down with the L.A. Watts Times in an exclusive interview to talk about her musical influences and collaborations, the art of being a true performer, and why she chooses to support the youth. L.A. Watts Times: Tell us about your experience working with Harmony Samuels and BOE Music Group? Rhyon Brown: Harmony was told a few years ago that R&B was dead, and so he had this thing in him that he was like, ‘I’m going to prove to people that R&B is not dead,’ and for me, it was like I had a message that I wanted people to know, and I wanted women to know how beautiful they are, regardless of what the world may say about them. And those two things … God just put the right people at the right time in the room, and we’ve just kind of built this relationship where we just really trust each other and the music has shown that. The first time we got in the studio, we prayed and God’s had it since then. LAWT: Your first live performance was packed with cinematic visuals, dance and amazing songs from your new album. What inspired you to create a set using all three art forms? RB: My goal has always been to establish what being a true entertainer meant. I fell in love with the entertainment industry when I was watching movies with my Grandmother, and it was Sammie Davis Jr. and Dorothy Dandridge and Bing Crosby and Frank Sinatra; when being an entertainer meant you danced, you acted, you sang and you were great at all of it, nothing took a back seat. So, that has been my goal, and I was able to allow that to come across to people, so I feel really blessed and really grateful and I’m really full in the moment. LAWT: Who would you like to collaborate with musically and why? RB: The collaboration that I’m putting out there right now is Chance the Rapper. He kind of put it out there that doing the independent artist thing on a grand scale was possible and talking about God and getting people to be on board with you and feel the blessings God puts in your life; it’s all possible. So, who better for me to do something with than the guy who inspired me to take this route? LAWT: The “Pretty Girl” album is heavily influenced by old school R&B music. What was the process for incorporating these sounds into your music? RB: That was really me and Harmony sitting in a room, and Harmony is a genius when it comes to sampling a record but making it feel new. For the people that don’t know the old records, they feel like they love the record, but for some reason they know it, and for people who do know the old records its like nostalgic for them, but he does a great job making it feel like it’s a new song. I wish I could take credit for that, but really that piece was all Harmony and he just allowed me to put my words over it. LAWT: What prompted you to become an independent artist as opposed to being signed to a label? RB: Being that I was going the independent route, I wanted people to know that I really cared about them, that it wasn’t just me trying to get some records sold, but I really did care about how my message inspired them and affected their lives. There’s too many people [who] look like me that are told that they can’t do the things that they want to do in life, and that hurts my heart. LAWT: Why was it important for you to host more than 300 Compton Unified School District students at your first live concert? RB: The city of Compton has just supported us on an entirely different level and they have just been incredible. When we asked, they are actually the people that brought six buses of students out here. I just wanted them to kind of get out of their neighborhood and experience something different. They are really what fed my energy, they knew my songs, they were rocking with me and as an artist that’s really all you’re looking for. I feel like those girls left feeling like pretty girls. To see our exclusive interview with Rhyon, visit www.lasentinel.net.